Our individualized rehab programs are designed to you get back to the life you love. We have a network of advanced professionals that are focused on you and your recovery goals. If you are in need of physical, occupational or speech therapy, Morrow County Hospital Rehab Services is your best option. 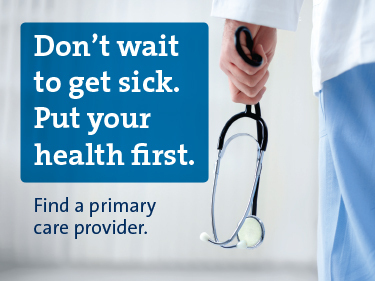 Visit your physician and discuss your concerns. Call Morrow County Hospital Rehab Services – (419) 949.3086 – to schedule your evaluation. Learn more about our rehab services below. Physical therapy (PT) focuses on improving your strength, mobility and balance to help you get back to your regular activities without pain. PT is available to patients of all ages in need of recovering and improving function after an illness or injury. Our physical therapists and physical therapist assistants will work with you to build a treatment program, individualized for you and your diagnosis. Our team is knowledgeable and experienced when it comes to providing the most effective treatment for you. We strive to educate and return you to the best you. Occupational therapy (OT) focuses on getting patients back to performing the meaningful activities of their daily life, which can include self-care, education, work or social activities. OT can benefit people of all ages- infants to adults- to move and function better, with less pain. Our occupational therapy practitioners are skilled professionals striving to help individuals with illnesses, injuries or disabilities achieve independence, meaning and satisfaction is all aspects of life. Lymphedema therapy helps reduce fluid and swelling in your limbs. Treatment techniques can include manually draining lymph nodes, compression, exercise and education. Patients of all ages can be diagnosed with lymphedema and can benefit from our therapy services. Speech therapy is designed to help individuals regain or increase their ability to communicate or swallow. Individuals of all ages – infants to adults – are eligible for speech therapy services.